Walt Disney's known as an extraordinarily successful creative whose visions as an animator, filmmaker and theme park developer changed entertainment in the 20th century and beyond. 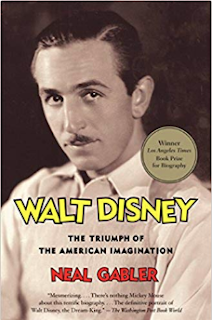 Yet, dig a little deeper into Disney's background, and you'll discover that his road to success was paved by an unhappy childhood along with countless business failures and setbacks. When he returned home from war, Disney became an apprentice at a Kansas City commercial art studio. Itching to set off on his own, he and his older brother Roy launched their own cartoon business, Laugh-O-Gram Studios, in 1920, but the company went bankrupt a couple years later. 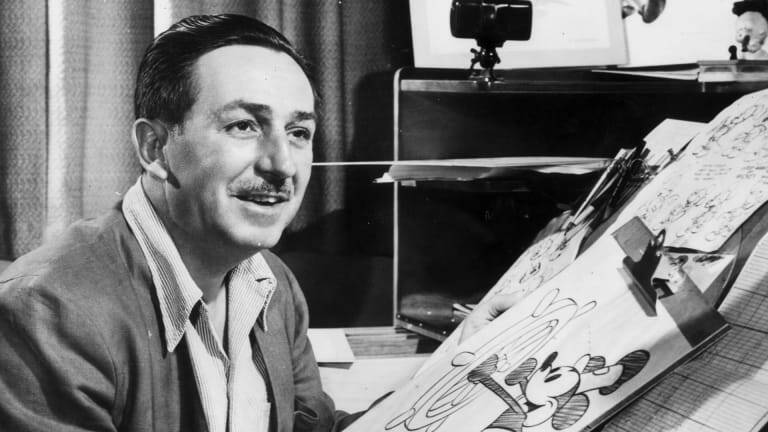 With the loss of his first business, Disney packed his bags, and with just $40 to his name, took off to Los Angeles to try his hand at acting. But he failed at that, too. Still, there was a silver lining to his move. Noticing there weren't any animations studios in California, Disney convinced Roy to join him out West so they could set up shop. Not so long after, Disney found his first major success with the creation of Oswald the Lucky Rabbit. Disney's character Oswald was plenty lucky, becoming a huge star in one-reel animation, but Disney himself would find his luck had run out. Traveling to New York to renegotiate his contract, he discovered that his producer had taken his team of animators from under him and that he no longer had any legal rights to Oswald the Lucky Rabbit. But instead of fighting the loss or plotting his revenge, Disney decided to walk away and start over again. It was on the train ride back to California that he created Mickey Mouse. After years of eating beans and driving up his debts, Disney finally brought Mickey Mouse to life on film starting in the late 1920s and earned his way back to the top of his industry. But it wasn't easy. Bankers rejected the concept of his famous mouse over 300 times before one said yes. Even with the success of Mickey Mouse, Disney still faced challenges in keeping his business afloat. Not only was he overworked, but tensions with his employer — who eventually stole his longtime and best animator from him — led to Disney having a nervous breakdown. After taking some time off with his wife to recuperate, Disney returned with a bold new idea: He would develop a full-length animation feature, which he'd call Snow White and the Seven Dwarfs (1937). It would become a huge success at the box office, yet the films that followed — Pinocchio (1940), Fantasia (1940) and Bambi (1942) — would end up being duds. If Disney didn't already have enough burdens to shoulder, more were on the way. His animators went on strike at the start of World War II and contributed to his mounting debt that ran upwards of $4 million dollars. After the war was over, his company was slow to rebuild, but during this time, Disney learned to diversify his business by turning to television, despite pressures from the film studios to stay on the big screen. His gamble paid off. With the success of TV shows like The Mickey Mouse Club and Davy Crockett, Disney was able to harness enough capital to launch his biggest venture yet: Disneyland. Disneyland opened on July 17, 1955, in Anaheim, California. Like most of Disney's enterprises, it got off to a rocky start. Forged tickets were bringing more visitors than anticipated, adding to a line that trailed seven miles long. With temps soaring up to 100 degrees, the new asphalt was melting women's high heels, drinking fountains were defunct (thanks to a plumber's strike) and some of the rides malfunctioned. Critics blasted the opening of Disneyland, calling it "Black Sunday." But as always, Disney's tenacity and perseverance turned his latest endeavor around. Disneyland became a colossal success, clearing out his financial debts, and to this day, operates as an integral part of his business empire. Commenting on the benefits of failure, Disney once said: "All the adversity I’ve had in my life, all the troubles and obstacles, have strengthened me. You may not realize it when it happens, but a kick in the teeth may be the best thing in the world for you."